FAST-TRACKING A SIMON & KIRBY CLASSIC! 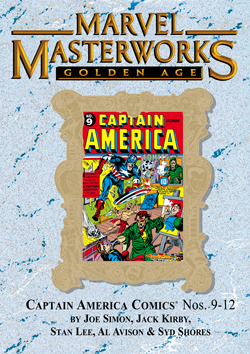 Mighty Marvel is bringing you another quartet of 64-page, action-adventure greats featuring the one and only Captain America! 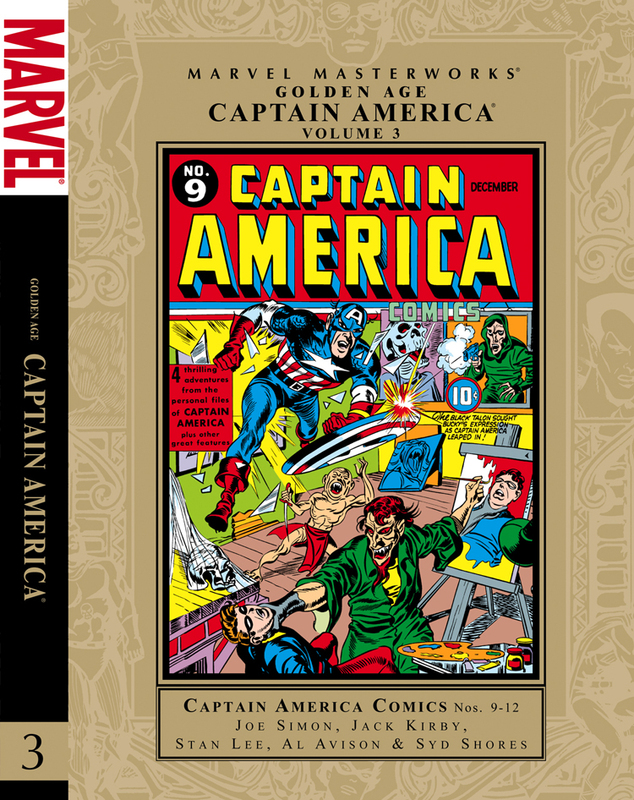 From the personal files of Captain America comes comic-book adventure as only found in the bombastic Golden Age! 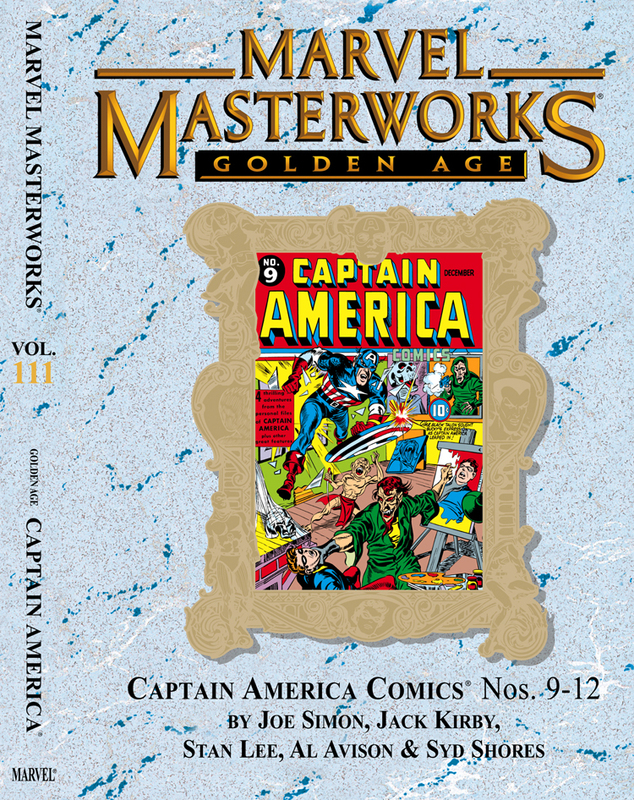 Cap and Bucky battle the Black Talon, race through a spy ambush, sort out a mountain man feud, shrink down to fight pygmies, and venture to the wind-swept moors on the trail of the Hound of Cardiff Manor in the stories that put Captain America in the minds and into the back pockets of millions of Americans. 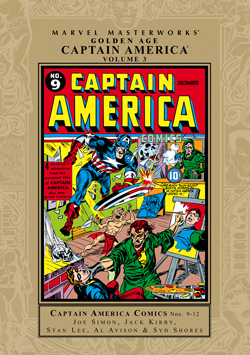 Supported by the war-time tales of foreign correspondent “Headline” Hunter, the heroic Hurricane and Father Time, and Stan Lee’s cartoon serial, the Imp, these stories are pure Golden Age excitement from cover to cover!